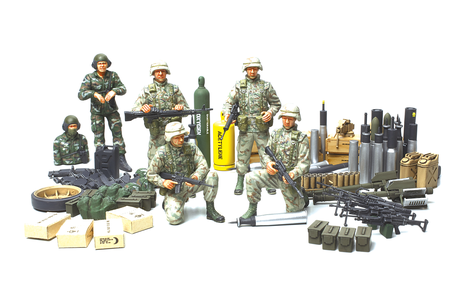 This is a 1/35 scale plastic model assembly kit set which depicts U.S. modern elite infantry and accessories from the 1991 Gulf War period. You can use this set as a small diorama by itself, or use it in conjunction with other 1/35 Scale MM Series products to create a larger diorama. Special Feature 1 The soldiers are depicted in a variety of realistic poses with PASGT body armor, M88 helmets, and M16 rifles. 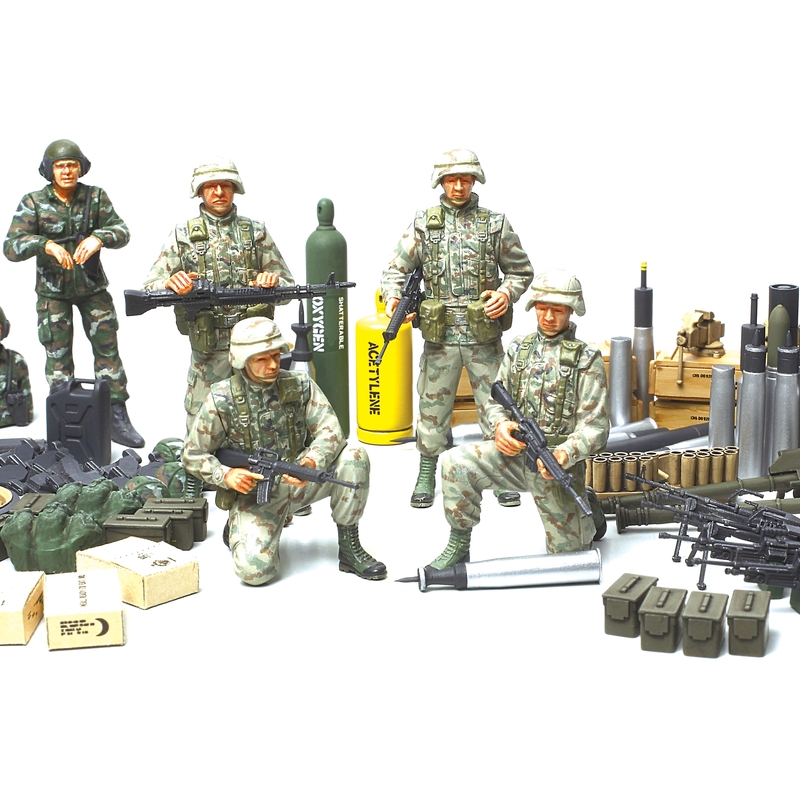 Special Feature 2 The set includes parts for M60E3 machine guns, M249 light machine guns, Stinger anti-aircraft missiles, tank ammunition and shell cases, machine gun ammunition cases, and other field equipment. Special Feature 3 Two tank drivers included (one full figure, one torso). Special Feature 4 The highly-detailed figure parts are products of ICM, Ukraine.